I didn’t see that an actual baby, a human being, was being killed by abortion for years because just about everyone I knew—my wife, members of the family, the reporters I worked with at the Village Voice and other places—were pro-choice. But then—covering cases of failed late-term abortions with a live baby bursting into the room to be hidden away until it died—I began to start examining abortion seriously. So, in the 1980s, in my weekly column in the Village Voice, I openly and clearly declared myself to be pro-life. That was—and still is—the most controversial position I’ve taken. I was already well known around the country as a syndicated columnist (appearing then in the Washington Post) reporting on assaults on free speech and civil liberties as well as focusing on education, police abuse, and human-rights violations around the world. Much of that writing was controversial, but nothing as incendiary as being a pro-lifer. Some of the women editors at the Voice stopped speaking to me; and while I had been a frequent lecturer on free speech at colleges and universities, those engagements stopped. The students electing speakers were predominantly liberals and pro-choicers. They didn’t want this pro-life infidel on their campuses. I was still winning some journalism awards, the most prestigious of which was one from the National Press Foundation in Washington “for lifetime distinguished contributions to journalism.” I’d been told by the head of the foundation that the selection committee’s decision had been unanimous. But as I came into the building to accept the award, a committee member told me there had been a serious and sometimes angry debate about my being chosen. A very pro-choice law professor I knew did invite me to debate him at his college, Harvard. When I started, the audience was largely hostile, but soon I sensed that I was making some headway, and my debating partner became irritated. “If you’re so pro-life,” he shouted, “why don’t you go out and kill abortionists?”I looked at him, and said gently, “Because I’m pro-life.” That response seemed to register on some of the students. During other public debates in various settings, I challenge pro-abortionists to look at photographs in multi-dimensional ultrasound sonograms of infants waiting to be born: their eyes, the moving, outstretched fingers and hands. I have read of women who, on being shown a sonogram of their child, decided not to have an abortion. And I greatly welcomed the news that on May 29, 2009, Nebraska’s unicameral legislature unanimously voted for a bill that its supporters called “The Mother’s Right to See Her Unborn Child Ultrasound Bill.” It is now the law in that state that before an abortion, the mother has to begin to get to know—through a sonogram—the child she is thinking of killing. And really understand that it is a unique human being! Stewart became defensive, saying he had affection for his own children before they were born. “I think,” he said, “it’s very difficult when you look at an ultrasound of your child and you see a heartbeat—you are filled with that wonder and love and all those things.” But Stewart was still not against abortion, explaining: “I just don’t feel personally that it’s a decision I can make for another person.” And that brings us back to what the nine-year-old boy told his mother, who performs abortions: “That’s still killing the baby”—whoever decided to abort that human being. To say it’s a decision you can’t make for someone else allows a life to be taken. Years ago, as a reporter, I came to know Dr. Bernard Nathanson, who, at the time, was a wholesale abortionist, having performed more than 75,000 abortions. Then one day, he looked at the lives he was taking, and stopped. Why did he change his mind? In an interview with the Washington Times (reported on lifesitenews.com on June 12), Dr. Nathanson said: “Once we had ultrasound [sonograms] in place, we could study the fetus and see it was a member of our community. If you don’t do that, you’re just a creature of political ideology. In 1970,” Nathanson continued, “there were approximately 1,100 articles on the functioning of the [human] fetus. By 1990, there were 22,000. The data piled up swiftly and opened a window into the womb.” (Emphasis added.) And there was a baby—certainly a member of our community! Eventually, Dr. Nathanson converted to Catholicism, and the late Cardinal John O’Connor of New York presided at the event. I had come to know the Cardinal—first as a reporter, writing what eventually became a book about him, and then as a friend. From our first meeting, I had told him I was an atheist and a pro-lifer. He never tried to convert me; and the day after former abortionist Dr. Bernard Nathanson became a Catholic, the Cardinal called me: “I hope we don’t lose you because you’re the only Jewish atheist civil-libertarian pro-lifer we have.” I assured him he would not lose me, as I realized that for this high-level member of the Catholic hierarchy, my becoming a pro-lifer was decidedly not controversial. However, I continued to be banished elsewhere. 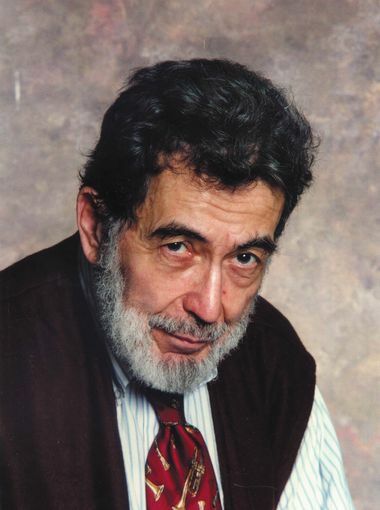 When the dean of the graduate school of Antioch College said he would like to establish there a Nat Hentoff Graduate School of Journalism, I was stunned. No institution has ever been named after me. 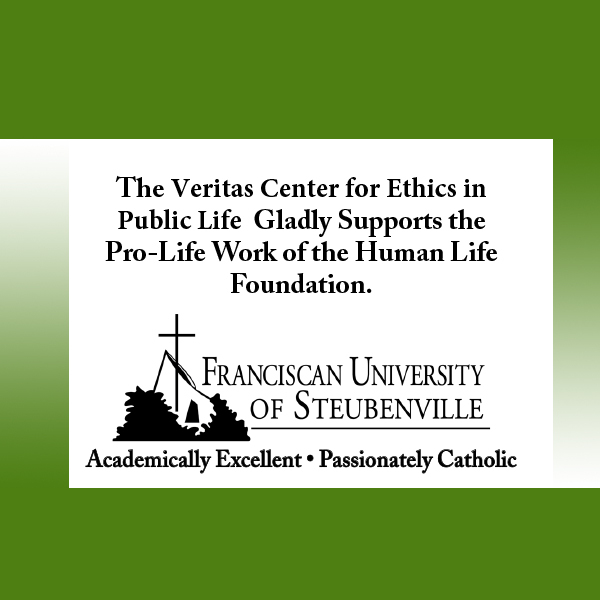 I accepted, but the day before I was to leave to meet the faculty, the dean—clearly embarrassed—called me to tell me that because many in the faculty were strongly opposed to having a dean opposed to abortion, they would resist the appointment. So, even now, no institution has ever been named after me, and that’s just as well. I much prefer to speak for—and be responsible for—only myself. Some of us who went through the antiwar struggles of the 1960s and 1970s are now active in the right-to-life movement. We do not enjoy opposing our old friends on the abortion issue, but we feel that we have no choice. . . . It is out of character for the left to neglect the weak and helpless. The traditional mark of the left has been its protection of the underdog, the weak, and the poor. The unborn child is the most helpless form of humanity, even in more need of protection than the poor tenant farmer or the mental patient. The basic instinct of the left is to aid those who cannot aid themselves. And that instinct is absolutely sound. It’s what keeps the human proposition going. Way back, a German physician and humanist, Dr. Christoph Hufeland, wrote: “If the physician presumes to take into consideration in his work whether a life has value or not, the consequences are boundless, and the physician becomes the most dangerous man in the state.” Once human life is devalued unto death, many of us born people who are sick and in need of costly care—especially as we grow older—can be left to die because our “quality of life” isn’t worth keeping us alive. 9,921 people have visited this page. 2 have visited this page today. Kudos to Nat Hentoff who took the time to think his position out, be open to change and be willing to endure being an outcast. Nat Hentoff was singularly important in my own move from a staunch, uninformed pro-choice position to a pro-life position. I am grateful to him for that. An excellent exposition on what abortion really is and why every American should oppose it. Thank you for this excellent column which illustrates that the heart of even an atheist can be changed by God. Make no mistake, Nat Hentoff’s view on abortion evolved over time, but not without help. Without God’s holiness there is no standard of right against wrong for God is the standard which goodness is measured against. For us to understand the difference between right & wrong, we must receive that understanding from God, whether we believe He exists or not. Without God there is no goodness. Nat Hentoff may have labeled himself as an atheist, but his heart could not resist God’s work of change. May His Holy name be praised always! When did Mr Hentoff write this essay? Is this its first publication? Blessings upon him—and Human Life Review. Summer 2009—as we just added to the header! Thanks for pointing that out, and for your kind blessings! God bless Nat Hentoff. The world’s loss is heaven’s gain (and yes, I know he was an atheist). So sad I am only now learning of his death. I pray that he is with the God he says he didn’t believe in. No doubt the unborn will plead on his behalf. May he rest in God eternally.